AAA conference members will head to Big Driver for their Conference Meet on Wednesday. In the Boys Race Class 3 #7 St. Francis Borgia is the favorite to win with three runners projected in the Top 5. Lutheran (St. Charles) and Father Tolton are expected to round out the top 3. Borgia's Grant Straatmann comes in with the fastest time (17:16) and is the favorite. Drew Snider, George Blanco, and Ben Juengling are all 17:35 or lower and could possibly challenge for the individual title as well. 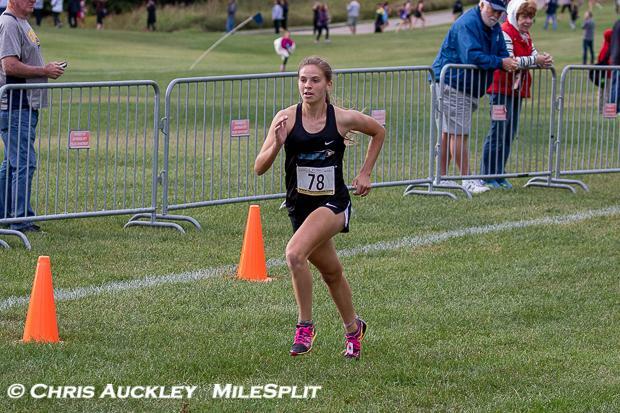 On the girls side, Class 2 #3 Father Tolton looks to be in position to win with all 5 girls in the top 11. St. Dominic, Lutheran (St. Charles) and St. Francis Borgia will squaring off behind them for a top three finish. Individually last year's Class 3 Runner-Up Mercedes Schroer should cruise to victory as her season best is over two minutes faster than second place.